It's numbered #SP-BU on the back, in NRMT-MINT condition. The Signature is in Blue Ink on card, not on sticker. Serially-numbered 094/100. Card is in FAIR /NrMINT condition and does have very minor edging on both sides, which is typical of product. 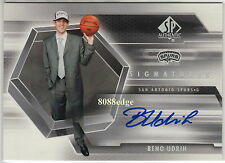 Perfect for the Udrih, San Antonio Spurs, and/or NBA basketball fan! 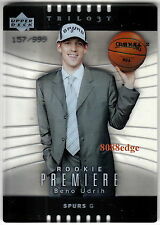 This card you are purchasing is a Beno Udrih 2012-13 Intrigue Winning Ink Autograph. 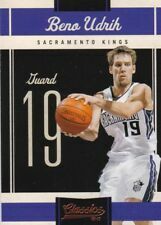 Collectible card for sale in near mint condition. 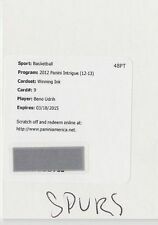 The card is numbered #71 from 2012-13 Panini Signatures NBA Basketball Trading Cards. The Signature is in Blue Ink on card, with hand numbered serial number #29/49. It is still placed within the Panini sealed one-touch holder, in MINT-NRMT condition. 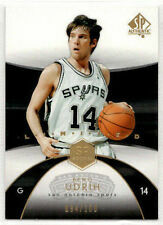 Collectible card for sale in good condition. It's numbered #118 on the back, in MINT-NRMT condition. The card is serial numbered #157/999. Serie Classics. Erscheinungsjahr 2010. Sprache Englisch.